The AMADA ASF-EU is our latest automation product to help you improve productivity and increase profits whilst reducing lead-time and cutting costs. The Tower system has been re-designed to improve material loading and unloading times dramatically to keep up with the latest high speed fibre machines. 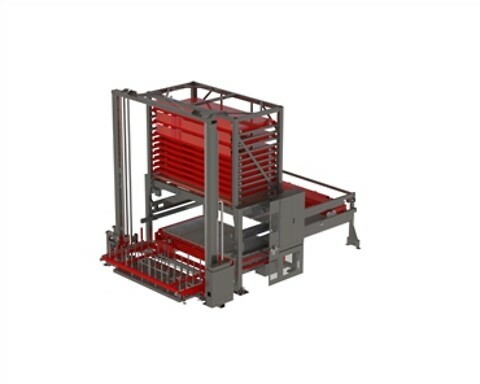 This fully automated material load and unload system uses vertical factory space to improve material logistics, whilst providing flexibility to produce smaller batch sizes from many materials or longer production runs.